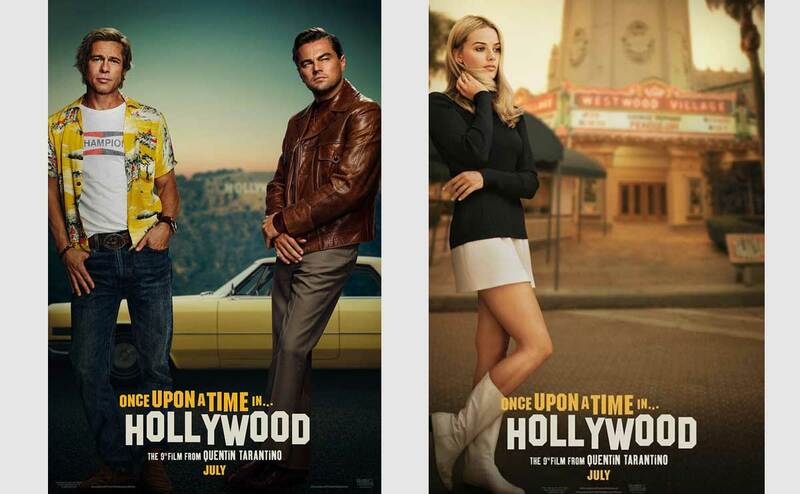 This week we’re getting our first look at the advertising campaign for Quentin Tarantino’s upcoming ninth film, Once Upon A Time In Hollywood, in the form of freshly-released character posters. The first shows the effortless cool of actor Rick Dalton (Leonardo DiCaprio) alongside his longtime stunt double Cliff Booth (Brad Pitt), while the second shows Margot Robbie as Sharon Tate, posed in front of the iconic Westwood Village theatre. Tarantino’s 9th film, which has been described as a Pulp Fiction-esque ensemble piece set in Los Angeles during the tumultuous summer of 1969, is slated to hit theaters on July 26, 2019.